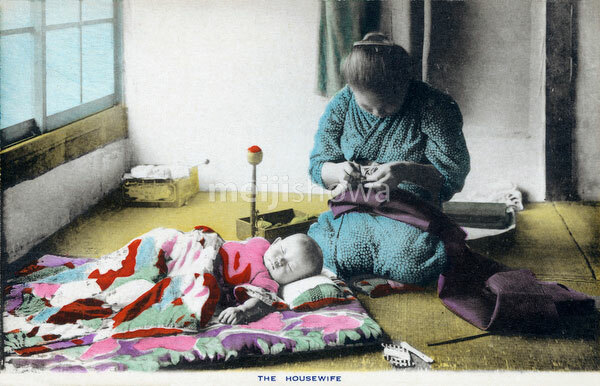 A housewife is sewing what looks like an obi (kimono sash), while sitting on tatami (rice mats) in her home. A baby is sleeping on a futon (Japanese mattress) in front of her. From the 10 card series Working Men in Japan.